Dramatic and detailed, Diana by Amare Couture is no less than sensational! 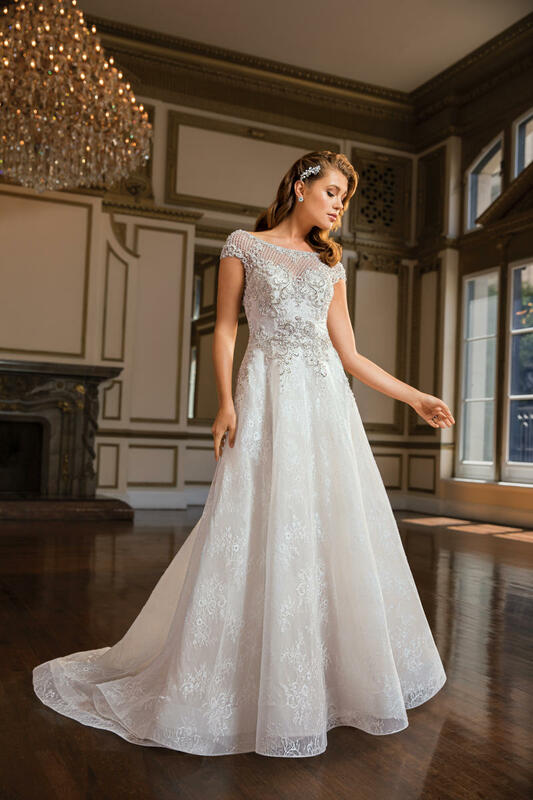 This unique wedding dress sparkles with breathtaking beading all over her bateau sweetheart neckline, trailing toward her cap sleeves, V-back and partway down her flowy Chantilly lace skirt. 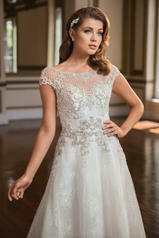 Stretch chiffon lays underneath, insuring this show-stopping gown doesn�t sacrifice beauty for comfort.